We got breakfast on the terrace by the pool in a beautiful morning. Just at the front of the Marriott hotel you will find Juan Leon Mera street and the La Mariscal District - It,s safe to walk in the district and you can walk down either Rio Amazonas or Juan Leon Mera. We had decided to look into the La Mariscal District and the surrounding streets. We started with walking down Juan Leon Mera from the hotel, here there are some handicraft shops. We went to see the local cacao and coffee products in 'Cacao & cacao' and visited Mercado Artesanal market (picture) with lots of reasonably priced crafts market in Quito Around 100 stalls offer llama rugs, alpaca jumpers, leather goods, Andean dolls and jewelry. 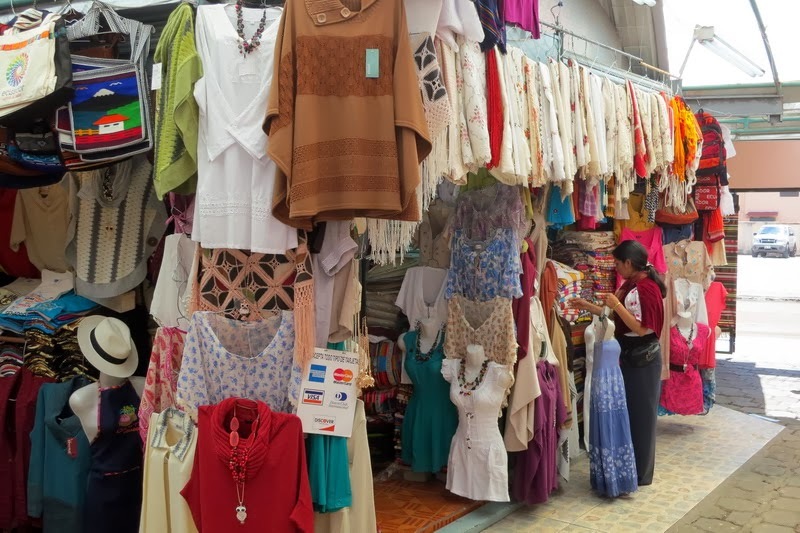 This large market is handy for visitors who might not have time to make it to the town of Otavalo. It’s located on Jorge Washington between Reina Victoria and Juan León Mera. It’s a colourful and fun place to shop, with about a hundred stalls protected from the elements selling a huge range of Ecuadorian crafts. It’s open seven days a week, 10 am to aboxut 7 pm. 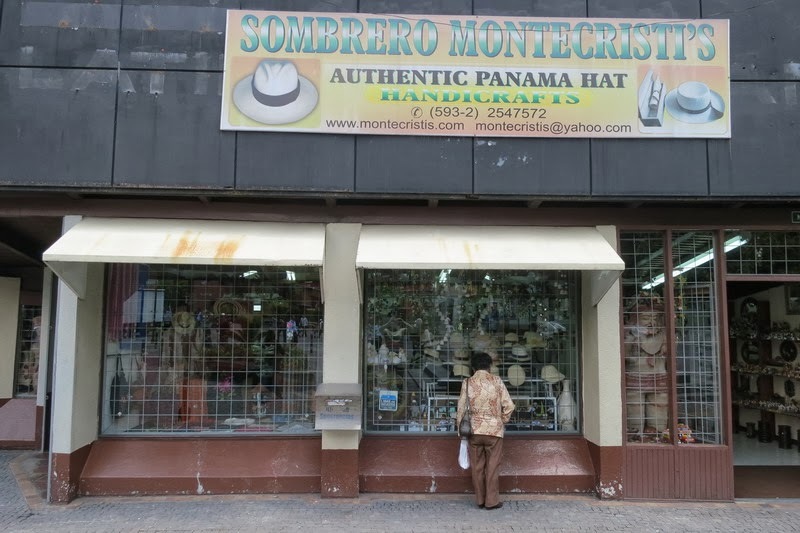 We were also in favor of looking at Panama hats originally from Montecristi, Ecuador and continued down Avenue Rio Amazonas and passed by The Presidents Plaza and Plaza Foch, two recently inaugurated plazas with a nice illumination and were normally music shows are organized continuously. In the late afternoon we were back at the hotel. At 6PM we went into the restaurant to eat - here we've got fried salmon. After dinner we met with a representative for Celebrity and got a little information about the Xpedition City tour excursion tomorrow (Saturday) and Sunday morning transfer to the airport and Baltra in the Galapagos. Finally, a single glass of wine at the bar before bed. The majority of our fellow cruisers did arrive late Friday evening.